It’s been seventeen years since I first saw this picture. For seventeen years I’ve desperately wanted to play what is in all probability a terrible platform shoot-’em-up. Some people live in the hope that one day they will see the Spectrum version of The Great Giana Sisters. Me? 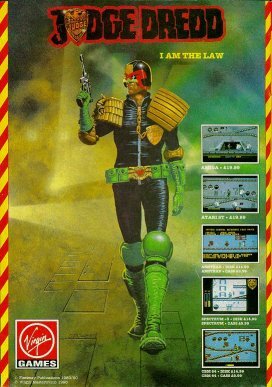 I just want to see the 1990 Virgin Games release of Judge Dredd. You know what’s really weird? The complete lack of any information on this game. As far as the web goes, there’s versions for the C64, the Amiga, even the Atari ST. But the Speccy version? Nada. 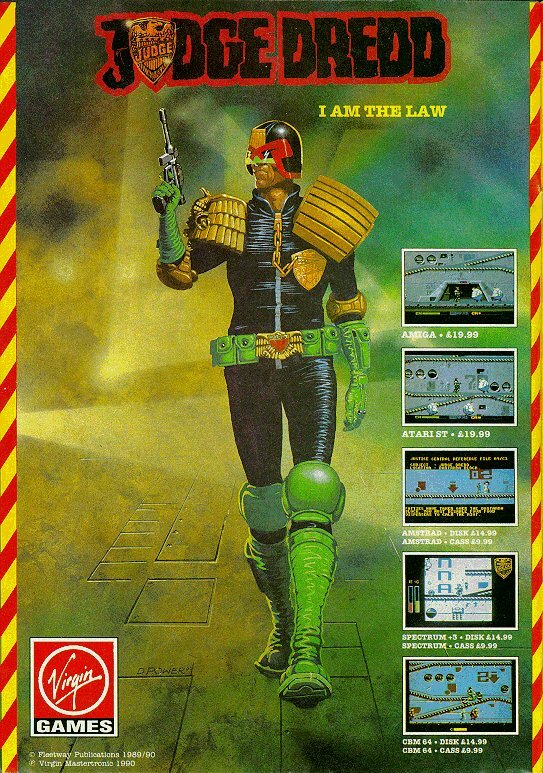 It’s not even on the 2000AD website, while the earlier Melbourne House game is. Google refused even to mention the YS review – thankfully I didn’t just imagine the whole thing. And if nobody does send me the game, then I’ll be visiting each and every one of you and going through your old tapes. There’s only one solution – you’re just going to have to go and get it back. Otherwise I can never finish reviewing every Spectrum game ever. Quick! It’s almost too late!